A new study published in Molecular Biology and Evolution suggests that consuming a long-term vegetarian diet may alter human DNA and make people more susceptible to some cancers and heart disease. This, according to researchers, is because DNA makes vegetarians more susceptible to inflammation by boosting arachidonic acid, a substance linked to cancer and inflammation. The study suggests that because of this, vegetarian populations have a 40% increased risk of developing colorectal cancer. The research is a bit surprising, as a vegetarian diet has long been associated with a variety of health benefits. Vegetarianism has been shown to decrease the risk for Type 2 diabetes, and help people with disease management. Research also suggests the antioxidants reaped from fruits and vegetables cut the likelihood a person will develop cardiovascular disease. These are just a few of the purported health benefits of a plant-based diet. Cornell University researchers compared hundreds of genomes from a mainly vegetarian population in Pune, India to traditional meat-eaters living in Kansas and discovered a significant genetic difference. Tom Brenna, Professor of Human Nutrition at Cornell, explained that his team found people with a long ancestral line of vegetarianism are more likely to have genetics predisposed to rapidly metabolize plant fatty acids. Nutritionists say consuming a healthy balance of Omega-3 and Omega-6 fatty acids is vital for good health. Omega-3 are found in fish, whole grains, olive oil, and fruits and vegetables, while omega-6 are found in beef, pork products and many packaged snack foods such as cookies, candies, cakes and chips, as well as nuts and vegetable oils. Clearly, it’s wise to avoid the packaged snack foods. The body can’t produce either type of fatty acids naturally, so humans must get them from food sources. Omega-3 fatty acids are anti-inflammatory and help regulate metabolism, whereas Omega-6 fatty acids actually contribute to inflammation, but still plays an important role in skin and hair growth, bone health, and reproductive health. We need a certain amount of inflammation to help us fight infection and protect us from injury. However too much inflammation can cause everything from an increased risk of heart disease to cancer, Alzheimer’s disease, and diabetes. A perfect example of this is red meat. Last year, the World Health Organization’s (WHO) International Agency for Research on Cancer (IARC) concluded red meat is “probably carcinogenic to humans.” This is because red meat causes inflammation. This doesn’t mean the occasional burger or steak is going to cause cancer. 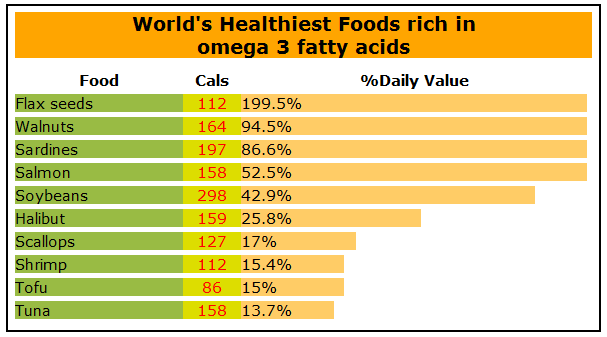 The West, with all of its wealth, technology, science, and medicine, has a ratio of omega-6 to omega-3 essential fatty acids of about 15 or 16:1. Humans evolved with a ratio of about 1:1. Doctors often recommend the Mediterranean diet, which is closer to having an equal balance of the two. The new study shows no diet is one-size-fits-all, and suggests that different people may need vastly different ratios of Omega-3 and Omega-6 in their diets depending on their genes. Hah! Comparing a group of people from two different continents that likely share no ancestry is your proof? You may as well compare cats and dogs in relation to their diets. Vegetarianism is not unhealthy. People foolishly following the paleo diet don’t even know what our ancestors actually ate. I’d hardly take their word for anything. People claiming highly saturated fats are good for us don’t know anything. The alternate studies show a completely different outcome for long term vegetarians, in that we have a much lower rate of colon cancer. (as well as a host of other cancers). This study is about as believable as the right wings’ statistics. Invent something the rubes will believe, throw in some numbers, and present it as fact. I think “mr paleo” should get his arteries checked, because they seem to be blocking the flow of blood to his brain. Unfortunately, it would appear that Julie has neither the science background, nor “expertise” to validate (or invalidate) the “science” presented… as well as the reality that “vegetarianism” is not healthy. I suggest she look up Drs. Perlmutter, Davis, Wahls, Cordain, and, as well, Chris Kresser and Denise Minger, and read, “THE VEGETARIAN MYTH” and “THE SECRET LIFE OF PLANTS”.